A small art gallery with a big heart, The Ivy Box showcases a number of artists, including photographers and painters. Inside a former butcher's shop, the gallery offers visitors a chance to purchase unique artworks--if you want something other than run-of-the-mill souvenirs from your trip, this is the place for you. You can call or e-mail to set up an appointment, but if you pop up the stairs to the onsite studio, you'll probably find several artists hard at work. Check the website for directions and other info. Add The Ivy Box to your Queenstown travel itinerary, and discover new vacation ideas by using our Queenstown trip planner . 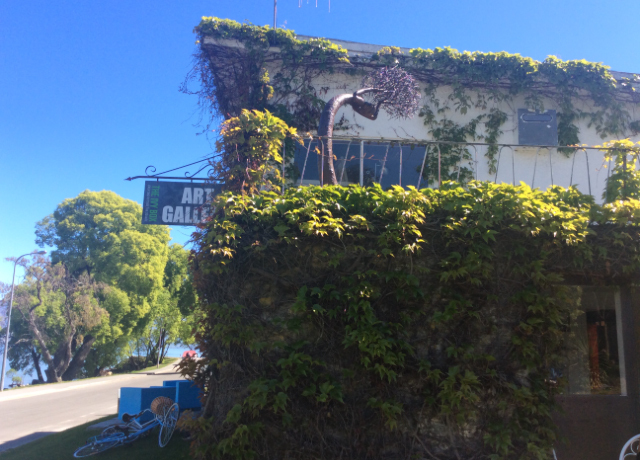 Ivy box art gallery was a really nice surprise for us when we were walking from Queenstown center to Frankton. It is by the lake, hidden by ivies and hides some very charming art items. Wrought iron bull head being one. Definitely is a must if you are discovering the city. 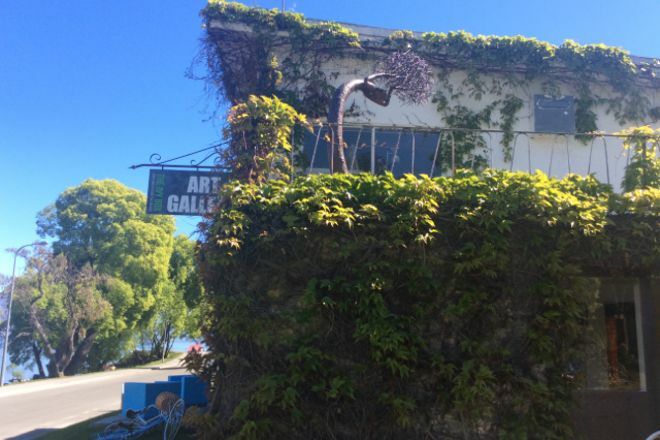 A quirky art gallery with a fabulous view! Unique art work from local and international artists. Beautiful sights plus art are amazing! Every day, we help thousands of travelers plan great vacations. Here are some tips on how to use your Listing Page to attract more travelers to your business - The Ivy Box. Promote your permanent link - https://www.inspirock.com/new-zealand/queenstown/the-ivy-box-a2388018495 - on your website, your blog, and social media. When a traveler builds a plan from this page, the itinerary automatically includes The Ivy Box. This is a great way for travelers looking for a great vacation in your city or country to also experience The Ivy Box. Promoting your link also lets your audience know that you are featured on a rapidly growing travel site. In addition, the more this page is used, the more we will promote The Ivy Box to other Inspirock users. For best results, use the customized Trip Planning Widget for The Ivy Box on your website. It has all the advantages mentioned above, plus users to your site can conveniently access it directly on your site. Visitors to your site will appreciate you offering them help with planning their vacation. Setting this up takes just a few minutes - Click here for instructions.